Konica Minolta Digital Colour Data Management is the solution for globalised industries with low vertical integration such as brand owners and OEM’s in the automotive and ICT industries. Based on instruments providing maximum inter-instrument agreement, reducing physical samples and cloud-based software guarantee higher efficiency and cost reductions throughout the value chain from design, specification, production, control & approval to global deployment. 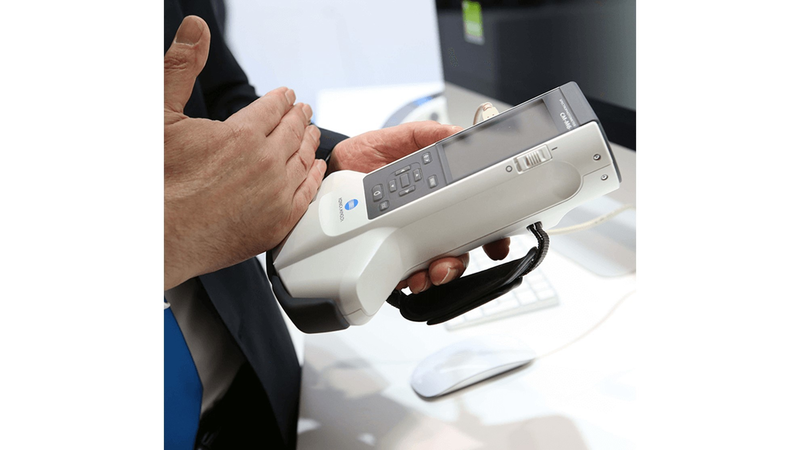 As available data is usually rather limited, Konica Minolta also provides an AI visual inspection solution package that can work with a minimum of inspection image data input. The AI visual inspection process can be started with only a small volume of non-defective product-inspection image data. Naturally, ever more options for advanced analytics become available as the volume of data increases - such as linking with the production data that have been gathered from the SmartStart Package in order to improve the machine-maintenance workflow.